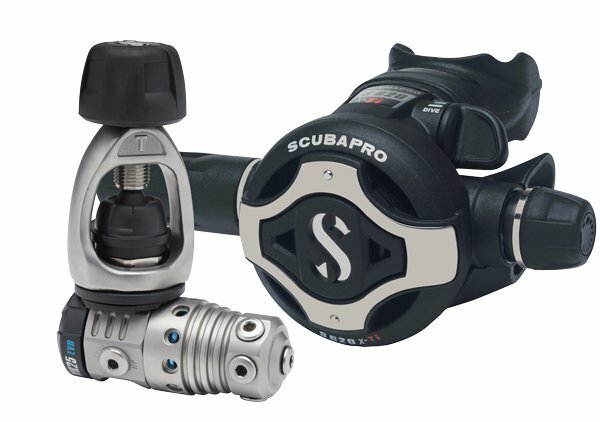 SCUBAPRO's top regulator is a high performing, ultra-light, corrosion-resistant reg system. 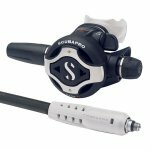 Available: Colored mouthpieces and hose protectors that match the Seawing Nova Fins and the HYDROS PRO BC, sold separately. Colors: purple, blue, red, orange, pink, yellow, white and black. Weight: INT 232 (oz/g): 16.8/475. Diaphragm fits inside a more compact casing for maximum breathing sensitivity. Weight (without mouthpiece) (oz/g): 6.3/179.